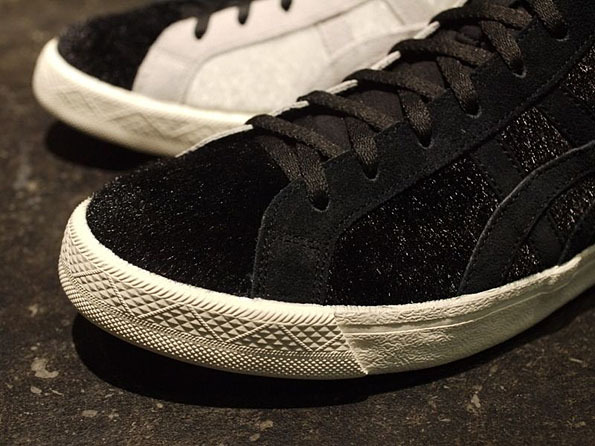 Giant pandas Ri Ri and Shin Shin are the inspiration for a limited-edition collaboration between Japanese lifestyle brand Onitsuka Tiger and Tokyo‘s famed Mita Sneakers store. The bamboo-eating carnivores, whose names emphasis vitality and innocence, are national icons in Japan. To re-imagine Onitsuka Tiger’s classic FABRE BL-L basketball shoe, Mita looked to home to Ri Ri and Shin Shin, its neighbour, the Ueno Zoo. Ueno first received giant pandas as a diplomatic gift from China 40 years ago and is celebrating its 120-year anniversary. The zoo is dedicated to the conservation of the nearly extinct species. Originating from China, giant pandas are symbols of peace revered for their spiritual qualities and ability to ward off evil spirits. Their black and white fur is believed to represent harmony between two opposing Yin and Yang forces. The FABRE BL-L is a high-top, ankle-supporting basketball shoe first worn by the NBA’s “Most Valuable Player” and Boston Celtics’ center, Dave Cowens, in 1973, soon after pandas first arrived in Japan. FABRE, an abbreviation of the basketball move “FAstBREak”, is an Onitsuka Tiger model that pioneered on-court performance footwear by giving basketball players unprecedented ‘stop & start’ manoeuvrability. 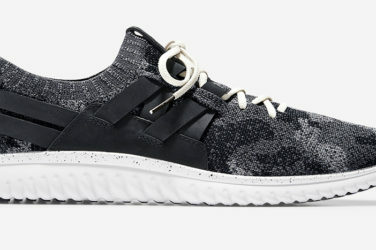 On the Mita shoe, black and white acrylic fur imitates the panda’s colouring. Real suede on the upper and back give the sneaker a premium touch, while the Mita Sneakers’ logo printed on the shoelace adds to the finish, along with its ‘CHAIN LINK’ graphic printed on the in sole. Onitsuka Tiger was established in Japan in 1949 and has since created footwear and clothing inspired by Japanese values of craftsmanship and attention to detail. 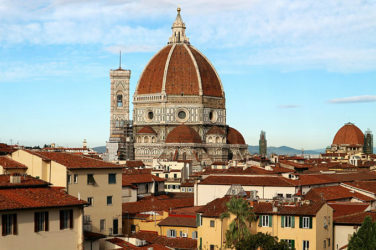 With heritage built into the design of each product, along with added modernity, the brand offers a wide range of styles for those who value their individuality. 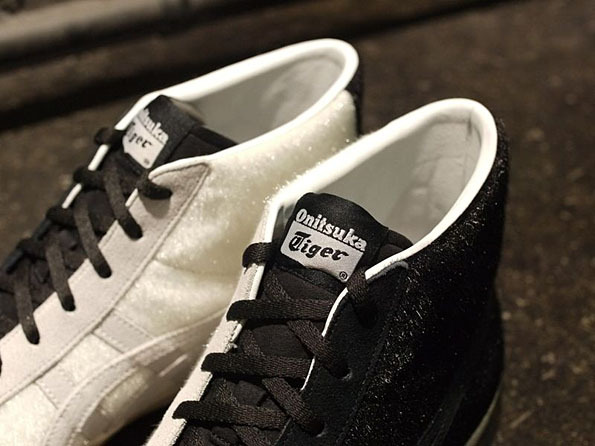 Onitsuka Tiger creates products for people who demand something above and beyond mainstream sports brands. 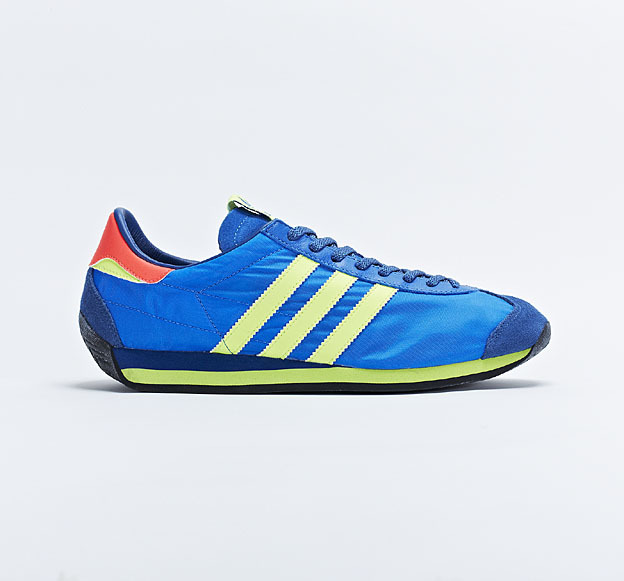 The MITA limited edition shoe will be on sale from 27 April for £105. Available from Onitsuka Tiger shops and selected stores worldwide.